Well I can only say it’s been amazing finding Jada Blitz. I love the gym and the staff that works at Jada. You guys are all so very kind and friendly! I love the family-type atmosphere offered at Jada. I also love Aubs! She has been an amazing trainer and great motivator to keep me going which sometimes I really need! She has such a positive, fun, intoxicating vibe that rubs off on me every time I’m are in the gym. I mean there are times where we come in and don’t feel like working out, but Aubs’ personality of sweetness and kindness makes our attitudes change after we are done training with her. Plus Lauren is always amazing to talk with. She always sees the good even in bad situations. It’s truly amazing to see that in a person. Now as far as my journey, I became pregnant so very young and was a mother to three children and a wife to my husband. I never focused on myself at all so I never thought about getting in shape and staying healthy. 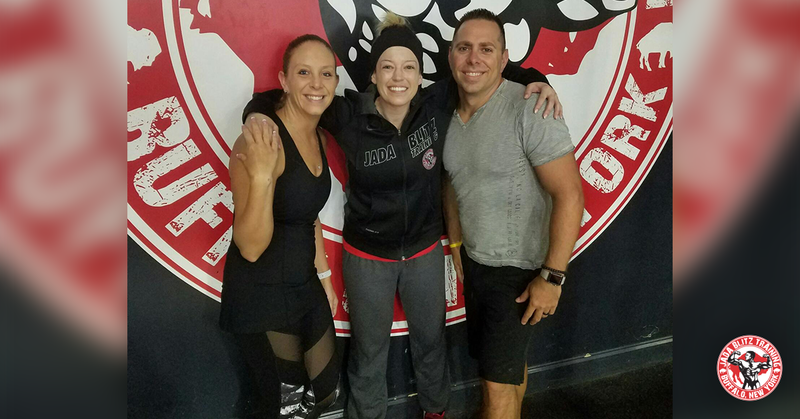 As my husband and I came up on our twenty year anniversary, with that came a trip to Mexico our trip to Mexico, which made my husband and I both motivated to find a gym. 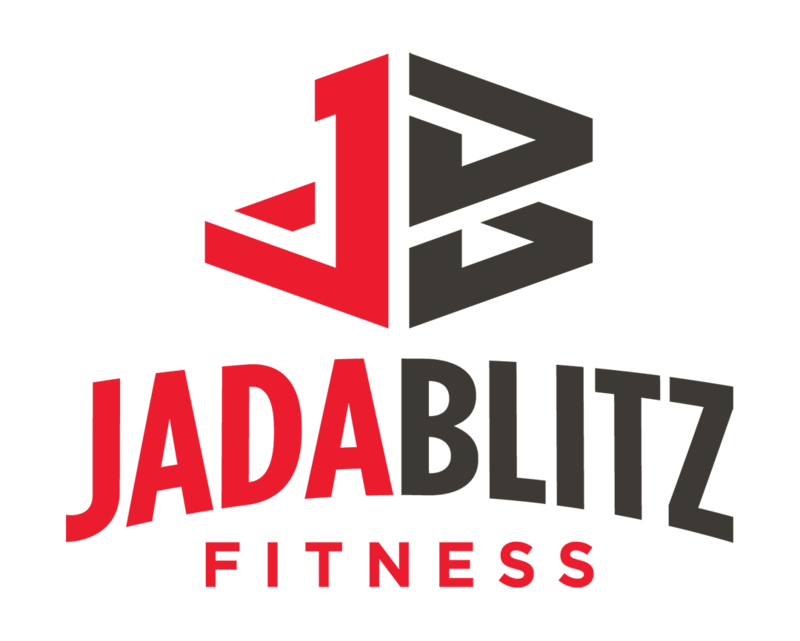 We found Jada Blitz, thank goodness because I hated working out and used to get very embarrassed working out in front of people, but this gym broke that for me. Plus we love doing things as a couple and we wanted to motivate each other, so working out together in our training sessions and the classes we do twice a week is just what we needed. It’s so fun for both of us and it’s just what we were looking for. Overall, my husband and I love putting the gym in our daily routine and are so glad that it’s now in our lifestyle. When we can’t make it, we miss it very much. Jada Blitz = Family. Kat and I just celebrated our 20th Wedding Anniversary. This is what motivated us to start looking for a new gym. A place where we could go to learn, how to workout and stay healthy, without being judged. Rewind about 10 months ago, I drove by this really cool looking logo in a small plaza by Eastern Hills Mall; it brought me in. I mentioned it to Kat and convinced her to at least stop in. We were greeted by the most bubbly, smiley person I have ever met. This is of course was Aubs! She talked with us for a couple minutes, showed us around and the rest is history. Jada Blitz makes working out and staying healthy fun. And to top it off we have a personal trainer that lifts us up when we are not in the mood to workout. Aubree is always pushing us to work on ourselves, inside with her quotes and outside with her hard and on point workouts. Why does Jada Blitz = Family? Jada Blitz as a team, works together, plays together. You can see the trainers and owners all get along and help each other out. Just by watching them interact with us or others, you can see how they truly enjoy helping others achieve their goals. With that said, my wife and I celebrated our 20 year Anniversary in Mexico. Looking better than we ever have, thanks to Jada Blitz.